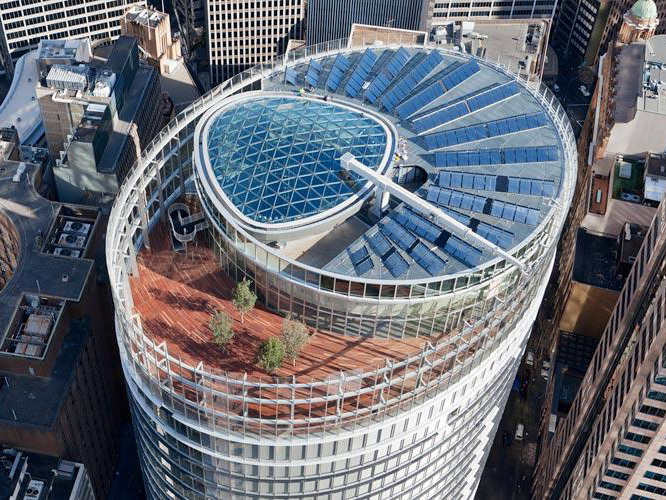 The Green Building Council of Australia (GBCA) is making a massive push towards net zero carbon buildings with new changes to its Green Star system. As a response to the 1.5 degree target in the Paris Agreement, the GBCA has proposed that any building wishing to seek a 6 Star Green Star rating will need to achieve net zero carbon. The proposed change is part of GBCA’s future-focused rating system. “The next critical decade needs ambitious actions,” says GBCA’s head of market transformation, Jorge Chapa. “Green Star for New Buildings aims to promote ambitious action on carbon emissions with a drive towards net zero carbon and carbon positive buildings. “In order to ensure our ratings continue to recognise Australia’s most sustainable developments, we want to introduce a new set of categories and credits that better reflect industry’s ambitions, and what it can achieve. The GBCA has also proposed other ways to promote exceptional achievement in performance, such as sector-specific credits that recognise issues relevant to certain building types. None of these changes have been confirmed; the consultation period for the amended Green Star system will be open until 10 June, 2019. Click here for more information about the proposed changes. Pictured: 1 Blight Street Sydney, a 6 Star Green Star rated building.